I grew up in Walden, Colorado. I have always been passionate about hunting, animals, and the outdoors so pursuing a career in Taxidermy was a natural direction for me to take. I enjoy taking the time to make my animal mounts look as life-like as possible. My attention to detail and realistic techniques make these trophies look like they are in their natural habitat. My taxidermy shop is located in Laramie, Wyoming. I still have close relationships with businesses in Walden, Colorado, so I frequently travel back and forth to practice this trade. My taxidermy services include mounting big and small game, including elk, deer, antelope, moose, bears, cats, etc. 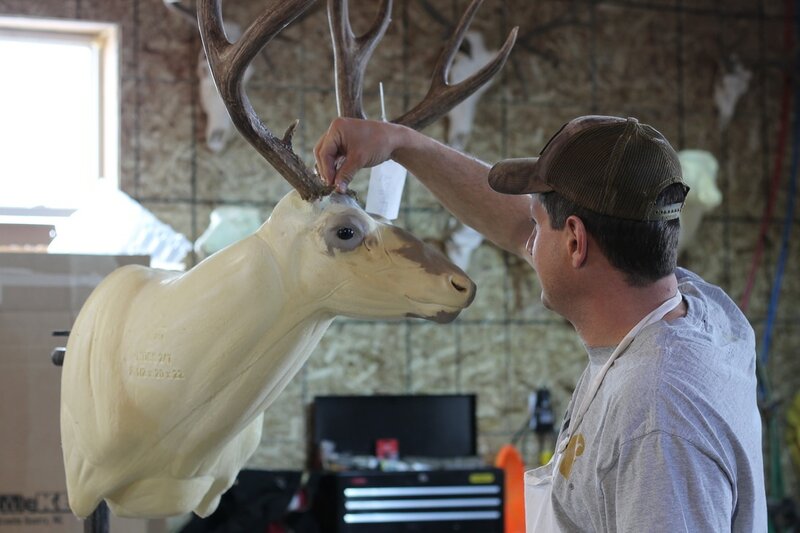 Give me a call to discuss the details of mounting your hunting trophy! Member of Colorado Taxidermists Association, Utah Taxidermists Association, Wyoming Association of Taxidermy, and the National Taxidermists Association. Also proud supporter of the Rocky Mountain Elk Foundation, the Mule Deer Foundation, Safari Club International, and the National Rifle Association. Serving the Northern Colorado (Walden, Colorado) and Southern Wyoming (Laramie, Wyoming) areas.